The Rozzi family history dates back to Paul Rozzi, a fireworks expert, in Pietramelara, Italy (near Naples) in the late 19th century. The skills and knowledge of pyrotechnics and creative firework displays have been passed down through different generations. His brother John Rozzi joined Art in 2012 and brings 40 years of professional pyrotechnic expertise in manufacturing, design and explosives safety. Art and John are pyrotechnic experts steeped in the family tradition of fireworks, they understand how to entertain and delight an audience with an exciting pyrotechnic fireworks display. Arthur Rozzi focuses on using state of the art digital design and shooting technology for all of his expert displays, including audio and video integration and a high degree of safety assurance. Art is widely considered one of the innovators of the "pyromusical," the combination of music and fireworks to create stunning audio visual spectacles. Award winning performances at the International Firework Competition in Montreal. 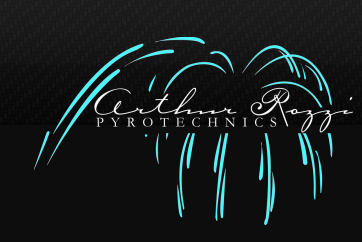 Art's expert knowledge and personal interest for the future of display, manufacturing, safety and technology has lead to 5 consecutive years of service on the Board of the American Pyrotechnics Association. John Rozzi is a Producer and Pyrotechnic Display Choreographer who uses his pyrotechnic design skills as a consultant to manufacturers, dealers and importers in the fireworks industry and their clients. Pyrotechnic Special Effects for a Van Wyck and Van Wyck event. John was part of Dubai's New Year's Eve with the Grucci's as a crew captain and technician to mount the fireworks display on the tallest building in the world. "The project provided me with an intimate knowledge of the type of large scale pyrotechnic productions that the Grucci's are known for. "The Rozzi brothers (John and Art Rozzi) have been dazzling audiences for our family business--DelGrosso’s Amusement Park in Tipton PA--for over fifty years. The choreography of the fireworks with the music sound track is always spectacular. 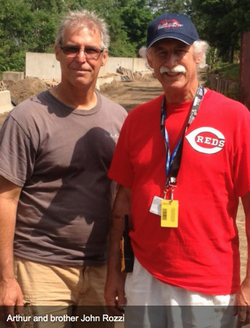 With over 100 years of experience between them there is no better company to work with year after year."